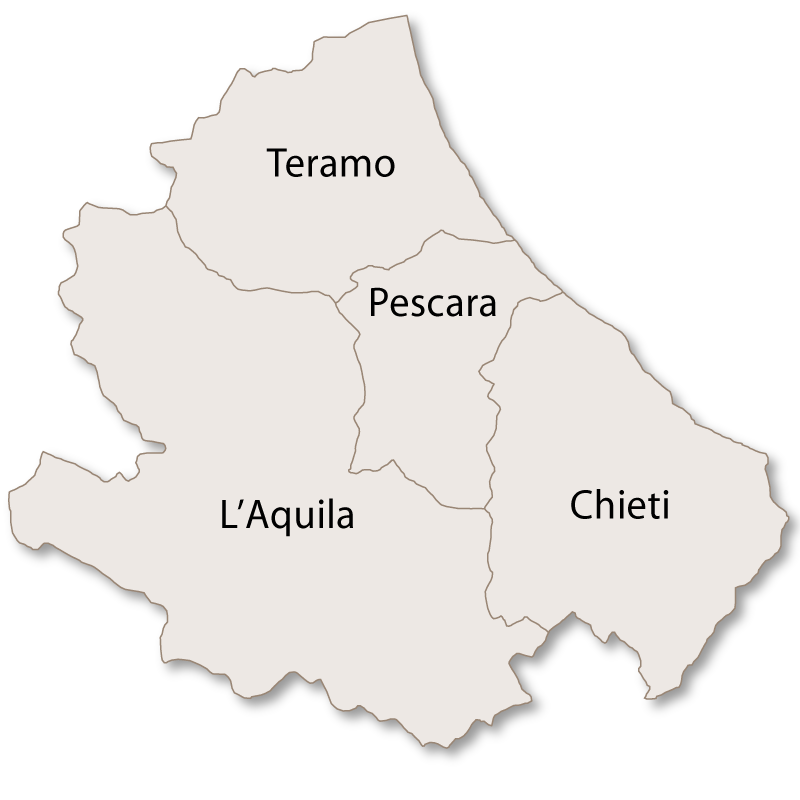 The province of Teramo has an area of 1,948 sq.km. 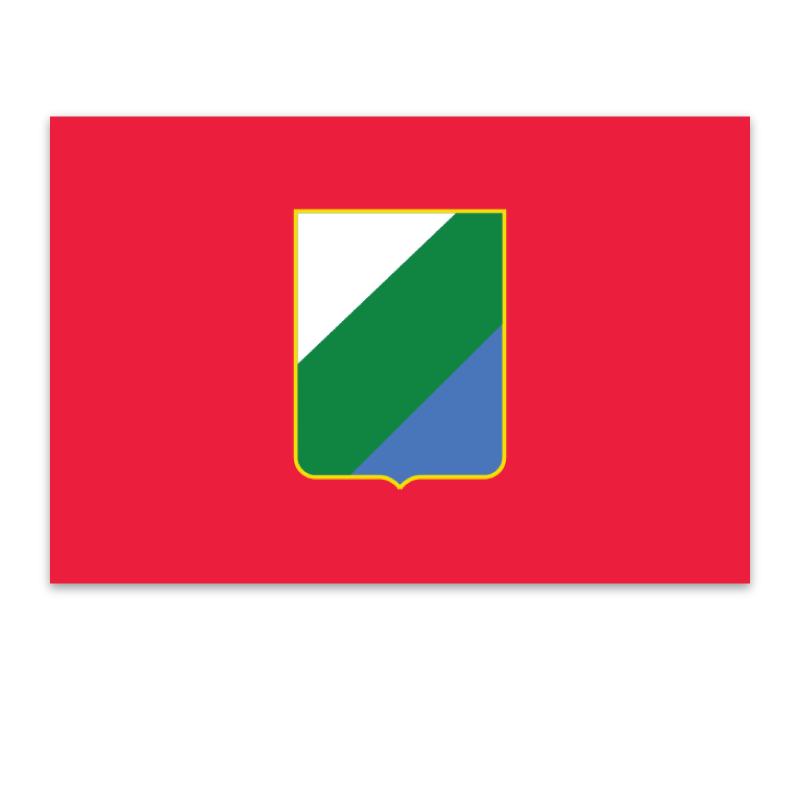 and is bordered to the north by the region of Le Marche, to the west by the province of L,Aquila, to the south by the province of Chieti and to the east by the Adriatic Sea. 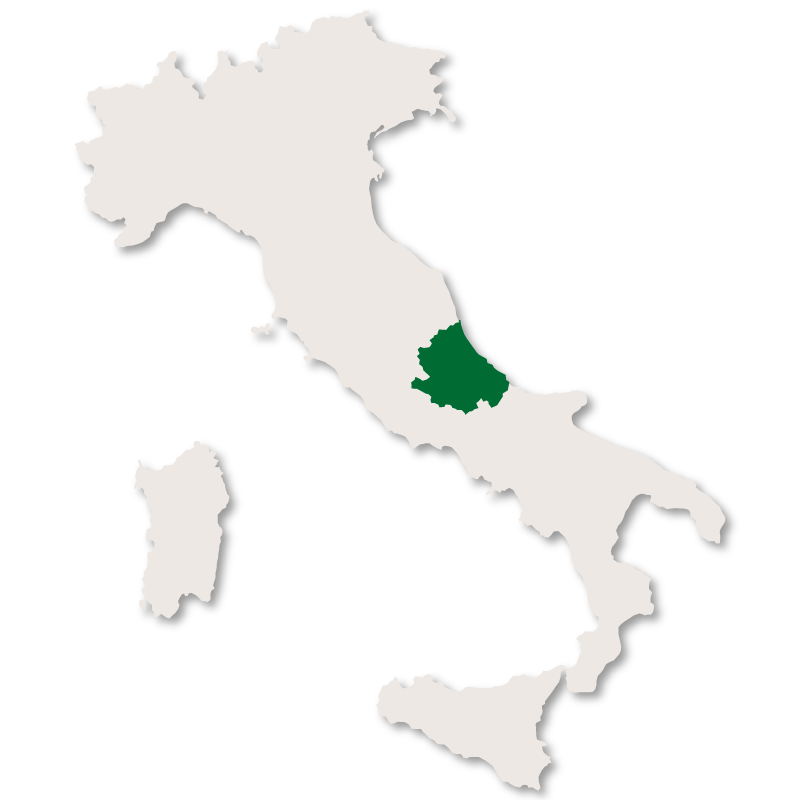 This province is almost divided into two, with the western half being mountainous, with peaks reaching almost three thousand metres and the eastern side consisting of long, flat sandy beaches and the Adriatic sea. In between the mountains and the sea there are deep, rocky valleys. Dotted around the landscape are many pretty hilltop villages, many of them with watchtowers and ancient fortifications. 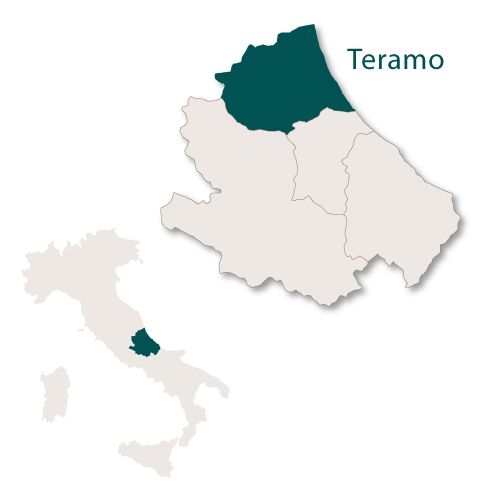 The province of Teramo contains southernmost glacier in Europe. 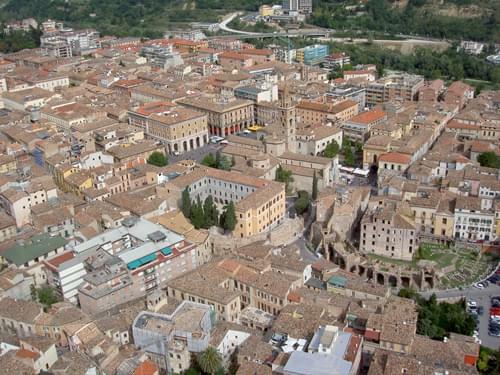 The city of Teramo, lying midway between the high Apennine mountains and the Adriatic coast, is the capital city of the province of Teramo in the region of Abruzzo. It is a well populated city with plenty of agricultural work as well as industrial sectors based around engineering, building materials, ceramics, textiles and food. The University of Teramo offers scholarships to students worldwide and has excellent results in Law and Political Science. It has one of the most modern campuses in Italy and very modern facilities. There is an observatory in the city 'Osservatorio Collurania' which houses an 80 cm-diameter optical telescope. The city's cathedral, the Cathedral of Saint Berardo, was built in the Romanesque style in 1158 and has a 50 metre bell tower. Church of Sant'Antonio - also Romanesque and built in 1127 it has a decorated portal and Baroque interior. The Sanctuary of the Madonna delle Grazie - a Romanesque cloister and a staggering 15th century wooden statue of the Virgin Mary. Madonna delle Grazie - 14th century Bishops Palace. The remains of a Roman theatre and amphitheatre. Torre Bruciata - a 2nd century BC Roman tower whose name means 'Burnt Tower' which refers to the burnt marks left on it after a seige in 1156. Atri stands on a hill a few kilometeres inland and was once enclosed by medieval walls and gates. Some small parts of the ancient walls can still be seen and three of the gates remain, Porta Macelli, Porta San Domenico and Capo d'Atri. There are also some small fragments of the original mosaic pavements remaining. The town's 13th century Cathedral of Santa Maria Assunta has a 56 metre high bell tower and elegant cloisters. Internally there are frescoes by the painter Andrea de Litio from Abruzzo and a musuem is attached to the Cathedral. Palazzo Ducale of Atri - the palace of the Duke of Acquaviva which stands on the highest point of Altri and is now used as governmental offices. The remains of a Roman theatre which has some grottoes which are yet to be explored. Two pretty fountains, Fonte Pila and Fonte della Strega. Chiesa San Francesco - a church with a Baroque staircase. Villa Comunale dei Cappuccini di Atri - close to the old town centre this is a beautiful, green public park covering an area of three hectares. There are stunning views from there across the valleys, right down to the sea. Santa Maria dei Lumi - a Sanctuary and Convent which was built in 1466 with a Romanesque portico and wooden statue of the Madonna. Santa Maria in Montesanto - an Abbey build in the 12th century and it became the most powerful abbey in the region. There are many pretty little churches but the three most interesting ones are San Francesco, San Lorenzo and Santa Maria degli Angeli. 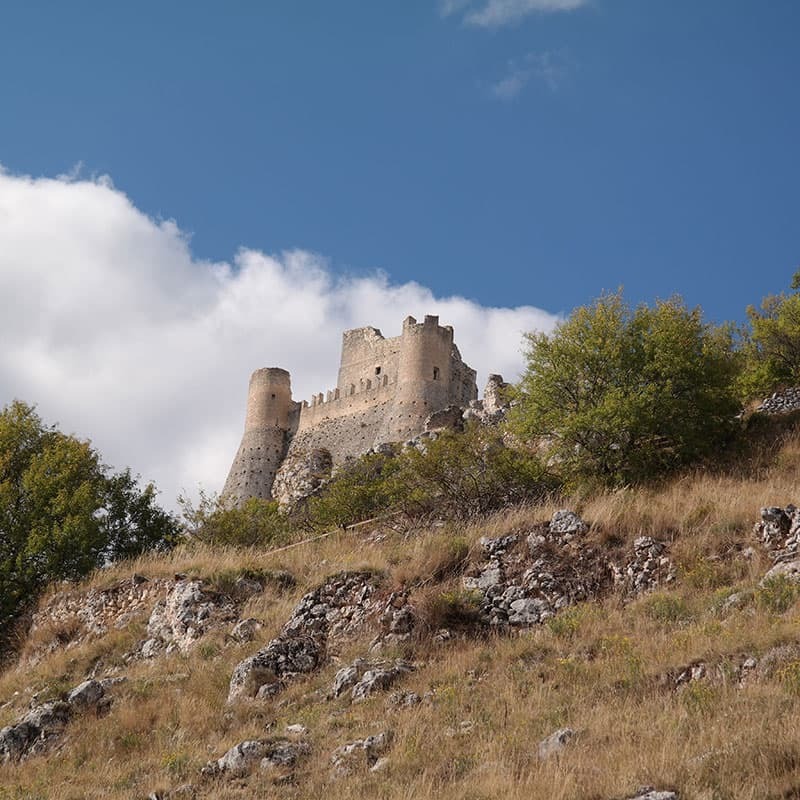 Located at 470 metres above sea level on the eastern side of the Gran Sasso it is an interesting village with some pretty architecture, fine scenery and compelling history. It is an excellent location for outdoor activities with good areas for trekking and a rock climbing centre with good, modern facilities. Castelli is a medieval village which is located in the Gran Sasso e Monti della Laga National Park beneath Monte Camicia. It is well known for producing decorative ceramics called Maiolicas. The ceramics are still produced today in the traditional manner by local craftsmen. As well as all the studios and shops producing and selling these ceramics they also have an art institute and a musuem dedicated to ceramics. 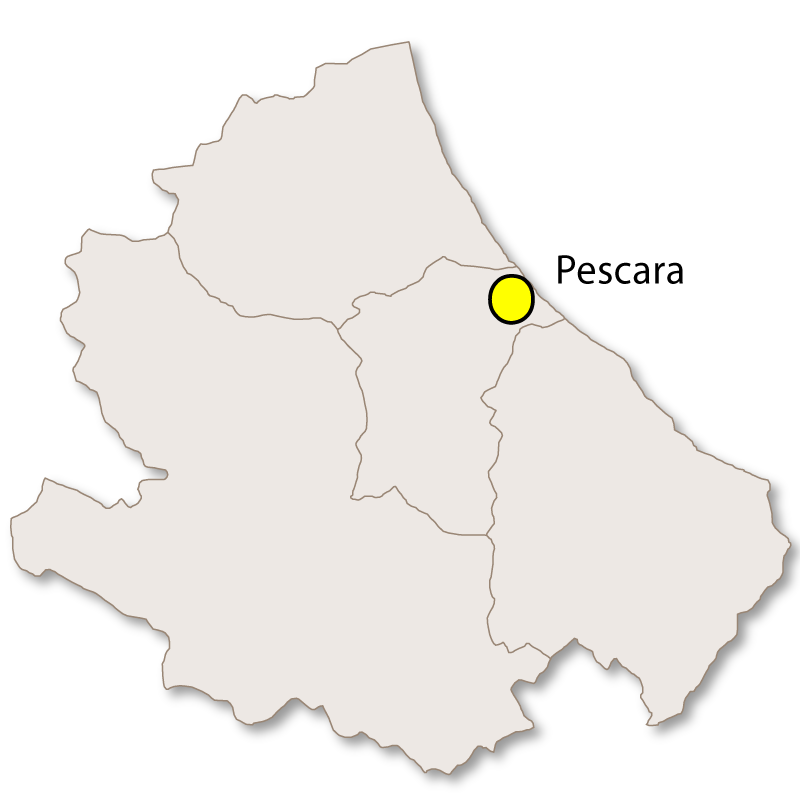 The province of Teramo has seven major coastal towns and seaside resorts which are know as the 'Sette Sorelle' (Seven Sisters). They are renowned for their fine, white sand and blue flag beaches. 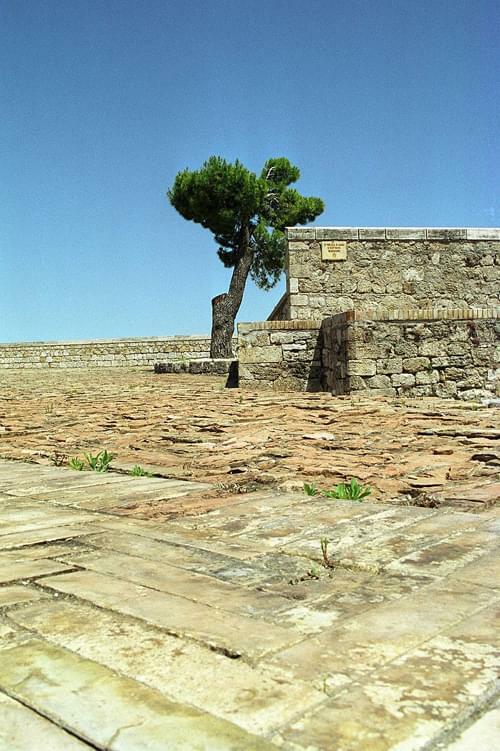 Situated on the mouth of the River Tronto and has the Tower of Charles V which was constructed in 1547. The beach here is of such high quality that it has earned the nickname ' Spiaggia d'argento' which means 'Silver Beach'. It gained its name during the middle ages due to the large flocks of turtle doves ('tortore' in Italian) and is split into two unmistakeable sections. The old town is slightly inland and set on hill and the newer, coastal resort area, called Tortoreto Lido, runs directly along the coast. 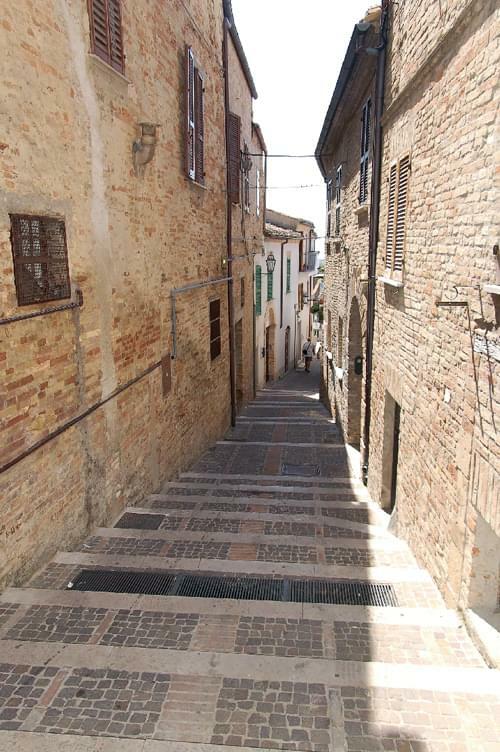 As with Tortoreto, Giulianova is split into two parts, the old town up in the hills and the lido on the coast. 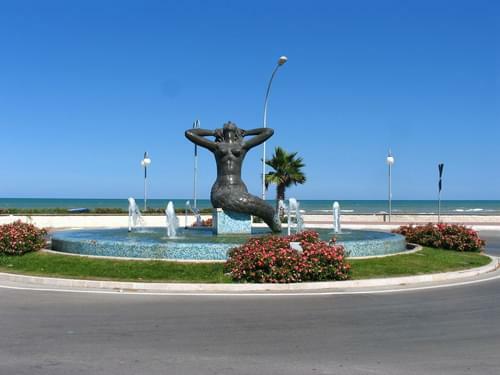 More commonly know just as Roseto this coastal resort is the second largest town in the province of Teramo. Again, as is common along the Italian coast, the old town of Belvedere of Silvi Paese is in the hills at an altitude of 250 metres and the holiday resort, Silvi Marina, stretches along the Adriatic coastline. This is the most southerly resort of the Seven Sisters and has beautiful sandy beaches which are shaded by pine trees, hence its name 'Pineto'. Two kilometres from the centre of the town you can find the Torre di Cerrano (Tower of Cerrano) which was built in the 16th century as lookout for invading Turks.